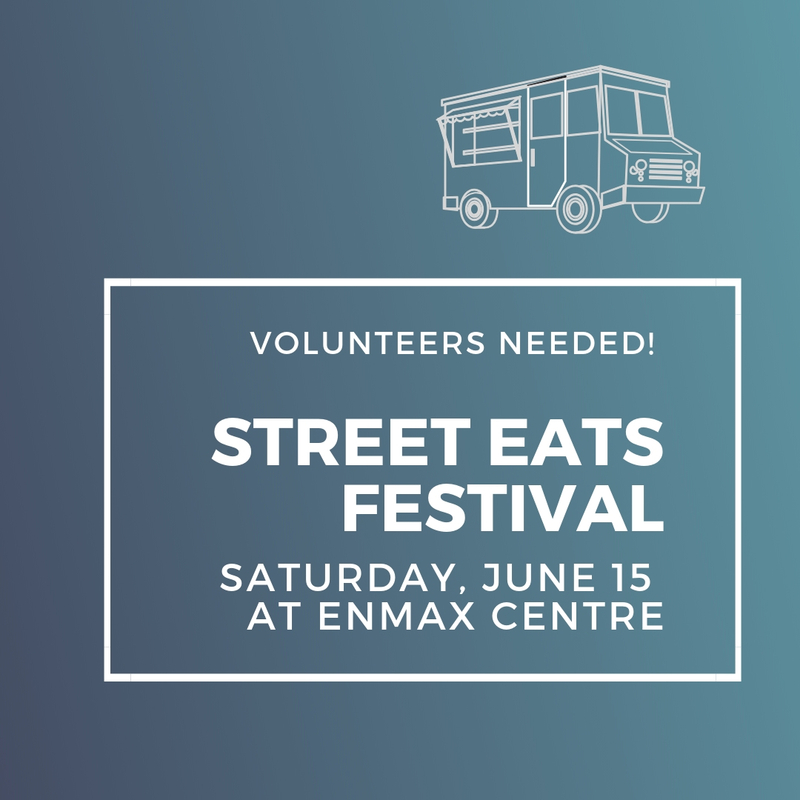 We are looking for energetic, outgoing individuals ages 18 and over to be apart of our volunteer team for this years Street Eats Festival. 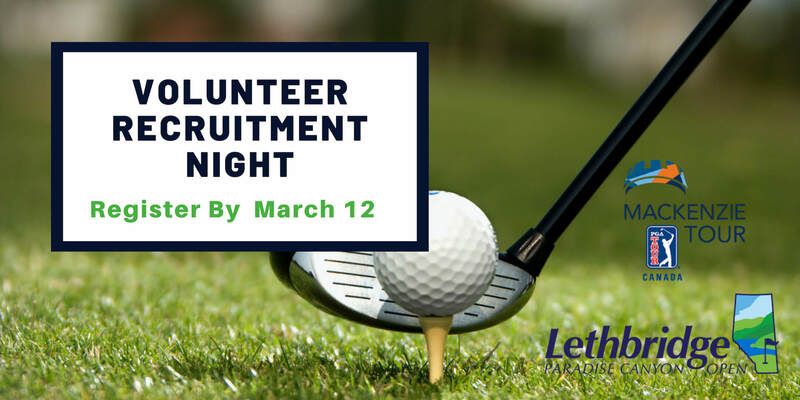 This is an excellent opportunity for anyone seeking to earn community involvement hours while supporting a wonderful cause. 2 Weeks to place Veseys Order, Green Shirt Day, Roll Red Roll and more! Click here to read this week's 'This Just In" newsletter. Check out our hours for the Easter holidays, click here. 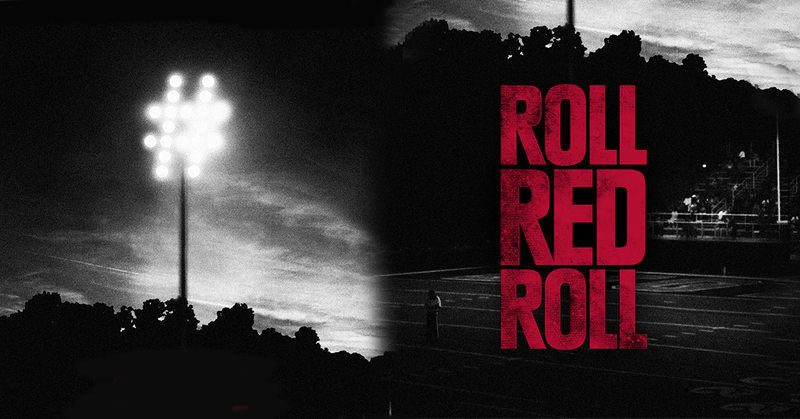 Join us for a public screening of award-winning documentary "Roll Red Roll"
Our newsletter called "This Just In" is now available. This is your opportunity to get involved with the Lethbridge Paradise Canyon Open! Dare we say it? Spring is just around the corner. 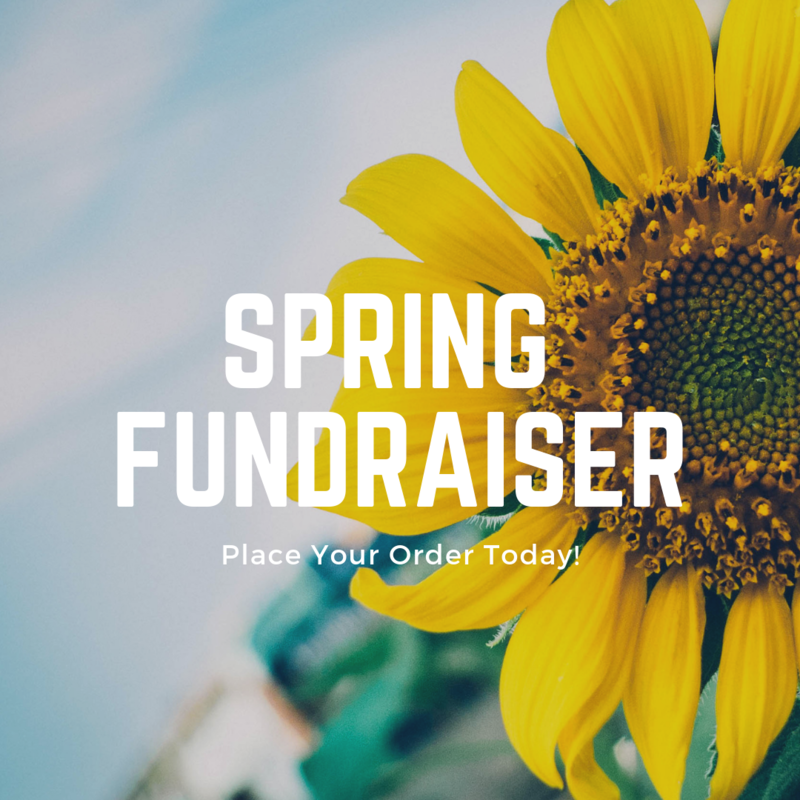 Our Spring Flower fundraiser has launched and we need your support! Ladies, it’s time to focus on treating your pain with kindness and compassion. Learn how here. Did you know that losing someone to suicide is a unique type of loss? Learn more about grief and loss here. Michael Ward from Lethbridge Family Services described to the students his role as a settlement practitioner with Youth Settlement Services, where he helps young immigrants better integrate into Canada. Through his presentation, he taught students that most immigrant families don’t pick Lethbridge as their destination, but it is chosen for them. Need a hand preparing your 2018 tax return? Click here for more information. 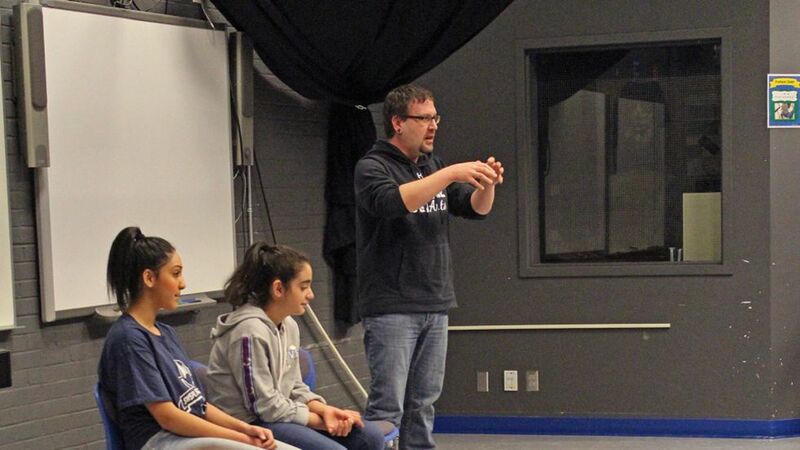 Some 70 Picture Butte High School students gained greater insight into immigration and refugees thanks to Micheal Ward (Lethbridge Family Services) and two Syrian students. A special thanks to Signature Dental! They are providing free dental cleaning and polishing to our IS clients in celebration of Heart Day on March 1, 2019. Last night, we were one of the organizations that were honoured by the University of Calgary for the important role we play in social work education and the work we do to make Lethbridge a better place to live. “We’re so proud to have this acknowledgment. For us, it’s really an affirmation of our commitment to be a learning organization,” Sandra Mintz said. Let us help you enjoy Mondays again! Holiday hours at both our north and south office locations. A handful of newcomers now living in Lethbridge were treated to a very Canadian experience this weekend: a trip to the mountains to participate in skiing lessons. Kyle Benning has more on what the activity means to them as they transition to life in Canada. The City of Lethbridge and Social Housing in Action honoured award recipients for their significant contributions to housing and ending homelessness in Lethbridge at the Annual “Bringing Lethbridge Home” Housing Awards luncheon on Tuesday, Dec. 11. G.S. Lakie Middle School shop class and shop club students are using their learned trade skills to help local organizations and businesses in Lethbridge. Christmas cheer is already in the air in Lethbridge as Lethbridge Family Services’ (LFS) 26th annual Angel Tree Christmas Campaign got underway Thursday at St. Teresa of Calcutta Elementary School. The November 15, 2018 launch marks the 26th year for Lethbridge Family Services’ Angel Tree Christmas Campaign. Click to read more. . .
A reminder that we'll be closed on Monday, November 12, 2018, for Remembrance Day - regular hours resume on Tuesday. Being able to connect with other children with similar experiences can help with processing grief. Register your child today! Ticket proceeds going to Lethbridge Family Services. We are in need of volunteers for Angel Tree. October 18 is Alberta Health Care Aide Day. Our October Newsletter called "This Just In" is now available. Click here to read the latest news. REMINDER: We will be closed on Monday, October 8 for Thanksgiving day. We will reopen on Tuesday, October 9, 2018. October is Disability Employment Awareness Month (DEAM). Through DEAM, our aim is to raise awareness about disability employment issues and to celebrate the contributions of workers with disabilities. Click here to see all events happening this month. Are you interested in interacting with people from different cultures? Do you want to make a difference in a newcomer's life by supporting their transition to Lethbridge? Click here to learn more. The Lethbridge Family Services is proud to announce the release of the 2017-2018 Annual Report. Join Lethbridge Family Services on Monday, September 17, 2018 at 10:00 am at the Bhutanese Seniors’ Garden Harvest, on campus at Lethbridge College. Men, are you frustrated with the narrow definitions of manhood? Challenge and de-construct those definitions with this group.Click here for more info. Our September Newsletter called "This Just In" is now available. Click here to read the latest news. REMINDER: We will be closed on Monday, September 3, for Labour Day. We will reopen on Tuesday, September 4. The Lethbridge Girl Gang, more widely known as Girl Gang YQL, hosted a fundraiser Wednesday evening to help Lethbridge Family Services. The activists chose LFS to help raise money for services they provide to newcomers to the city. Malika Karim has the story. Has your child experienced a loss of a loved one? Children see loss and death in different ways as they grow and develop. Let your child explore this by registering them today. Ladies, interpersonal trauma can add to the chaos of our lives. Join this yoga class for the opportunity to slow down and experience the stillness. Our August Newsletter called "This Just In" is now available. Click here to read the latest news. Lethbridge Family Services is inviting you to our Annual General Meeting on Thursday, September 20 (4:30 PM - 7:30 PM) at the Coast Hotel. We will be closed on Monday, August 6, for Heritage Day. We will reopen on Tuesday, August 7. Premier Notley and I also had a good visit with Lethbridge Family Services, to meet with coordinators and staff and thank them for helping individuals and families navigate through some very difficult circumstances. I can’t say enough how much I appreciate the efforts of all those on the front lines of social work and the dedication you all have in the welfare of Albertans. Visit the Accessible Canada website at Canada.ca/accessible-canada to learn more about the proposed Accessible Canada Act and what the Government of Canada is doing to improve accessibility for all Canadians, especially those with disabilities. Please note that our office will be closed on Monday, July 2, 2018, for Canada Day. We will reopen on Tuesday, July 3, 2018. 🇨🇦 Thank you. We are holding a media conference to kick off the inaugural Lethbridge Paradise Canyon Open, the fourth stop on the Mackenzie Tour-PGA TOUR Canada schedule, on Wednesday, June 20, 2018. Join a Focus Group - Please share your experience about coming to Canada. Want to show your solidarity & support for people who have been forced to flee their homes? 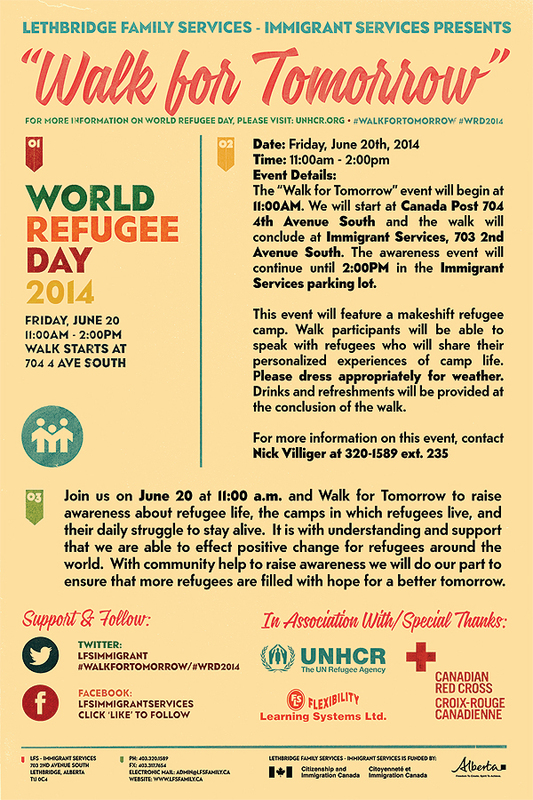 Join us on June 20, World Refugee Day, to show the world that Lethbridge welcomes refugees. Are you between the ages of 15 and 17? We are proud to celebrate and acknowledge Nursing Week 2018. If you love the game of golf, here is your opportunity to get involved as a volunteer or a caddie in the inaugural Lethbridge Paradise Canyon Open, a Mackenzie Tour PGA TOUR Canada event June 18th – 24, 2018. CLICK TO READ MORE. LETHBRIDGE - A new chapter was written on Tuesday, May 8, for Lethbridge Family Services as they held the grand opening of their new building. This year, Team Depot is sending a crew of volunteers to Lethbridge Family Services to paint areas in the east wing of the LFS North building; clean the Courtyard, help visualize a beautification plan for our gardens and build new neighborly fences; and help think about renovations to 3 client kitchens in DaCapo Disability Services. Our January Newsletter called "This Just In" is now available. Click here to read the latest news. Want to expand your knowledge of recovery oriented practice? Recovery looks different to everyone, and everyone has the right to determine their own path toward well-being. Click to read more. Today, we ask you to take a moment and remember those who lost their lives due to workplace illness and injury. Walking Scorers and Caddies are needed for the Mackenzie PGA Golf Tour. Click to read more. Lethbridge Family Services & Volunteer Lethbridge Invite You to Attend One of Our Information Sessions. Thurs. May 3, Fri. May 4 or Saturday, May 5, 2018. Have you ever had your masculinity questioned because you don’t “fit” into the man box? This is a common experience for men who seek help to deal with their mental health. Learn how this attitude can change, join our group today. Employers! Invite us to your next team meeting! We have a variety of topics that can enhance your team cohesiveness. Classes will begin on May 9, 2018. REGISTER NOW! 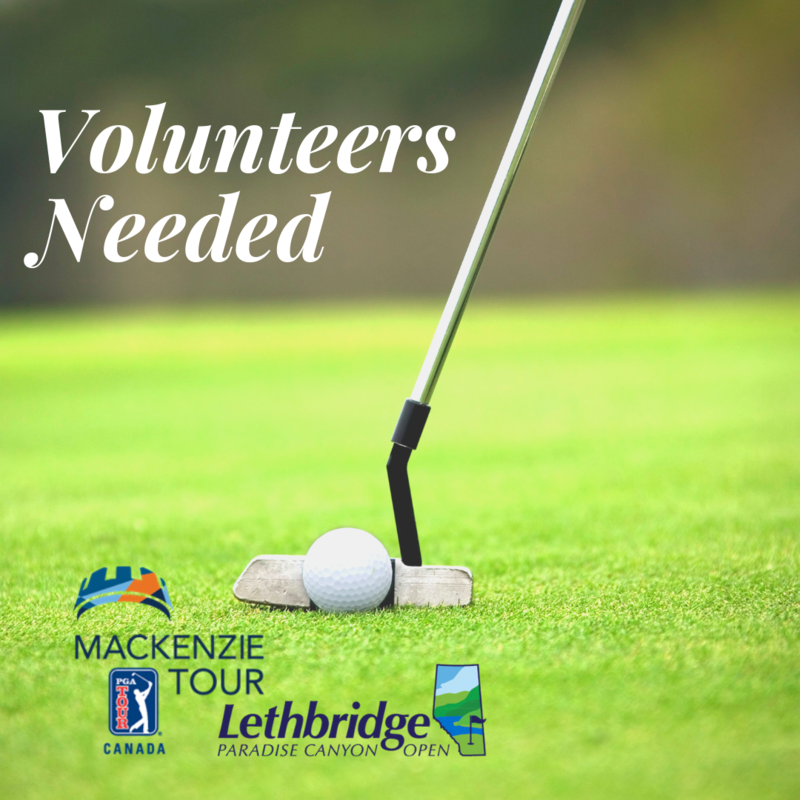 We are recruiting volunteers for the Mackenzie Tour - PGA TOURCanada in Lethbridge, June 18 – 24, 2018! Because of you, three of our families will receive five beds! Our March Newsletter called "This Just In" is now available. Click to read more. We are appreciative of your past support and would like to invite you to attend the official opening of our north office expansion. This Case Management Learning Event is jointly hosted by Immigration, Refugees and Citizenship Canada (IRCC) of the Government of Canada and Lethbridge Family Services. The Learning Event will assess the current forms of case management programs for refugees and immigrants offered by service provider organizations across the Prairie Region and Territories. 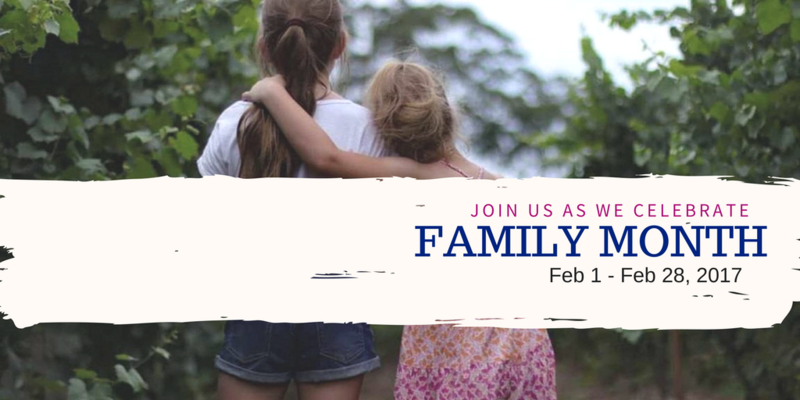 A reminder that we'll be closed on Monday, February 19, for Family Day - regular hours will resume on Tuesday. Bell Canada's "Let's Talk Community Fund" is donating $18,000 to Lethbridge Family Services, for two programs aimed at helping girls mainly between the ages of 13 and 17 who have experienced mental health issues, and sexual or emotional abuse. 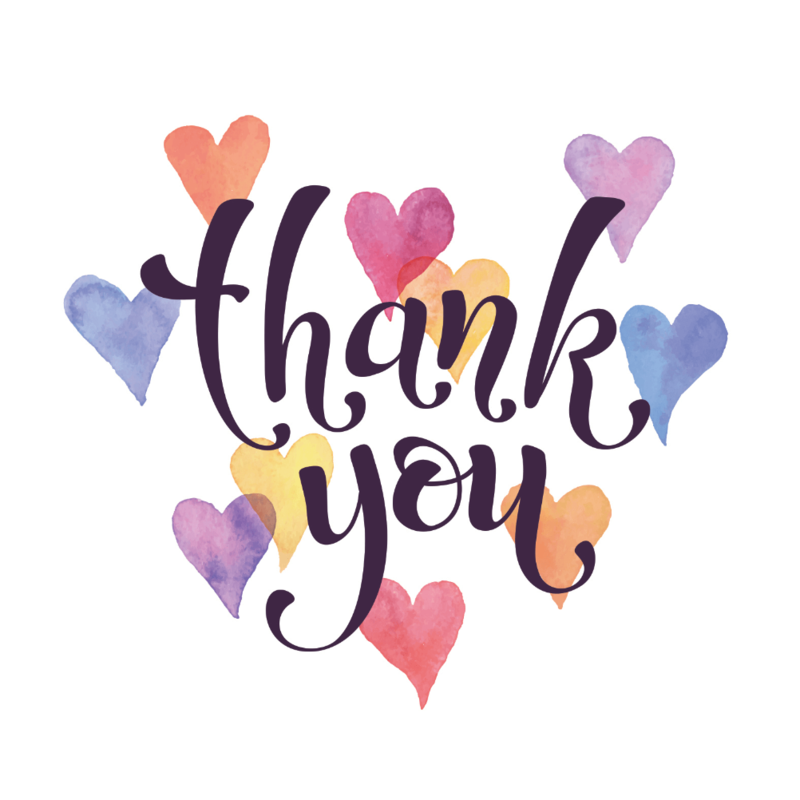 Lethbridge Family Services is pleased to announce it has received an $18,000 grant from the Bell Let’s Talk Community Fund to support a therapy group initiative for young women called, “Take Back Your World”. One of the major beneficiaries from the announcement is Lethbridge Family Services, which is receiving the net proceeds from the event. Our January Newsletter called "This Just In" is now available. Click here to read more. Steps for Life – Every step forward is one that we’re taking together! The following is being sent by Lethbridge Family Services on behalf of Sexual Violence Action Committee. 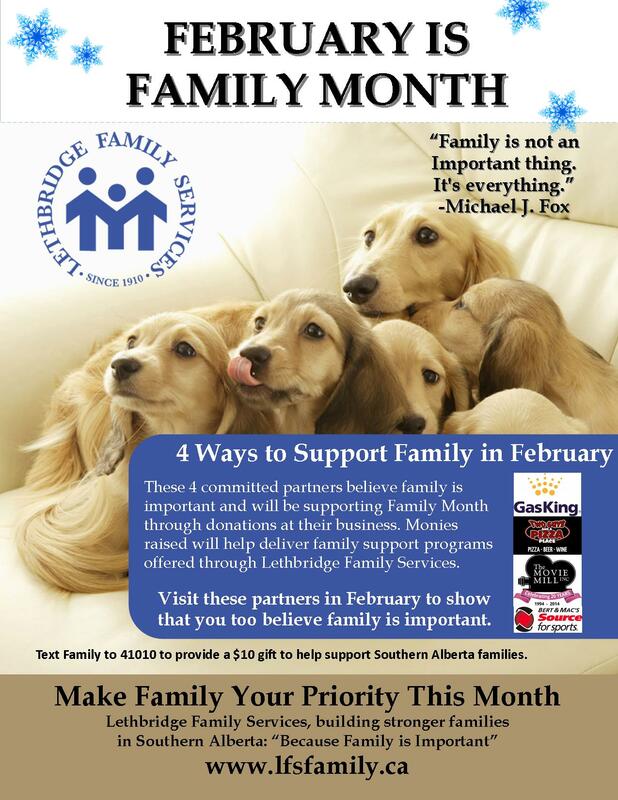 Lethbridge – January 31, 2017– Lethbridge Family Services (LFS) is celebrating Family Month in February with key partners who will help raise funds for our programs and services. The Hounourable Christina Gray (ND), Minister of Labour dropped by the LFS Main Office for a visit on September 30, 2016 to learn more about the work we do at our Agency and to offer her support for not only our clients, but also our team of employees. Pictured above from left to right: Tracey Hanson, Director Home Services, Lanie Fisher, Director Human Resources, Sandra Mintz, CEO, The Honourable Christina Gray, Minister of Labour, Maria Fitzpatrick, MLA Lethbridge East, Sonny Zgurski, Director Finance, Diane Kotkas, Director DaCapo, Lisa Lewis, Interim Director Counselling, Outreach & Education, Sarah Amies, Director Immigrant Services & Andrea Hlady, Director Business Development. This World Refugee Day, there will be thousands of reasons to celebrate in Lethbridge. As a city, Lethbridge is increasingly becoming known as a welcoming and inclusive community. This is largely due to citizens and communities opening up their hearts and homes to refugees and providing support in a variety of ways. Join Lethbridge Family Services and the Community Foundation of Southwestern Alberta on June 20th for a special announcement that shows the commitment of the community to welcoming newcomers as part of the World Refugee Day celebrations. To many people, 30 years does not seem like a long time. However, when those 30 years are taken in the context of providing essential supports and services to individuals with disabilities, 30 years can be a lifetime of growth, opportunities and successes. This is the story of the DaCapo program at Lethbridge Family Services as they celebrate 30 years of existence within the agency and community. Originally started as a pilot project for day services, the program has expanded to offer supports and services to individuals with developmental disabilities, brain injuries, and Fetal Alcohol Spectrum Disorder. Every year, the program helps close to 300 individuals improve their quality of life and well-being by providing support and education around employment/volunteer opportunities, social and life skills, and community inclusion. These individuals become contributing members of the community through a variety of partnerships and programs. Since the program was started, over 5 million hours of service have been provided in Southern Alberta through the DaCapo program. Lethbridge, AB: Slipping and Sliding on Scenic. Can you imagine slipping and sliding on a waterslide down Scenic Drive North? Does it seem impossible? This is not your imagination playing with you, it is happening in Lethbridge this summer. The LFS Fun City Sliders wet and wild water slide event is coming to town on July 23, 2016 courtesy of 1st Choice Savings. A 315 metre two lane waterslide will take over Scenic Drive north and thousands of Southern Albertans will have the opportunity to slip and slide while helping raise money for the local charity, Lethbridge Family Services. Through the company Fun City Sliders, this one day family friendly event will run from 10am-7pm and include the waterslide, local vendors, and the chance to slip and slide in Lethbridge on the largest waterslide to ever be seen in the city. “The process of being accredited through COA is rigorous, demanding, and ensures that all policies and processes of an organization have been reviewed and evaluated for the benefit of excellent program delivery and quality client care. Team COA, led by Dianne Kotkas and myself, worked hundreds of extra hours to prepare for this reaccreditation process and we are thrilled that we were granted this designation in the quickest re-accreditation decision turnaround that COA has ever delivered”-says Sandra Mintz, Chief Executive Officer, Lethbridge Family Services. Lethbridge, AB. Scotiabank is making a huge difference in the lives of Southern Albertans with a substantial donation to Lethbridge Family Services. Lethbridge Family Services is excited to announce the first ever donation at the grandparent level to the agency. This $30,000 donation will help individuals with developmental disabilities improve or maintain their mobility while also providing support to Syrian refugees for much needed dental care. Specifically, the money will be used for the walking track expansion that has just been completed at LFS in the DaCapo program. This track helps individuals that have mobility issues including being confined to a wheelchair, greater access to physical exercise and more program opportunities. It provides them with the ability to walk on their own. It will also provide a fund where the Immigrant Services program can access monies to purchase necessary and emergency dental work for refugees that need a dentist to help them improve their ability to eat and nourish themselves. Local Vietnamese cultural group steps forward to support newcomers to Lethbridge. Lethbridge, AB – By mid-February, Lethbridge will have welcomed 111 Syrian refugees, and the community is ready to welcome more, thanks to collaboration among local public sector and support service agencies. 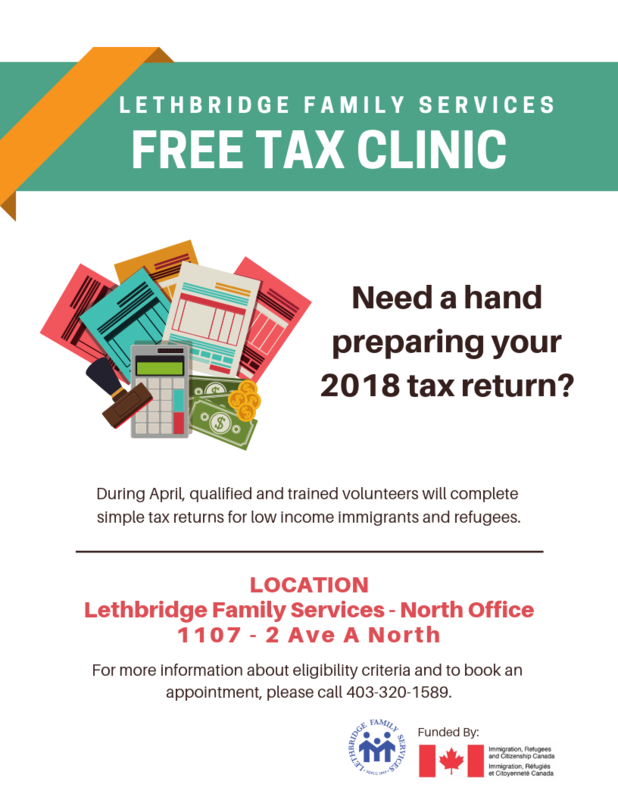 Lethbridge Family Services (LFS) is the lead agency in settling the Syrian refugees but is working closely with numerous other organizations, agencies, and partners including the City of Lethbridge. To date, Syrians arriving in Lethbridge have large families, and it is not uncommon for them to have at least eight family members. Approximately 65 per cent of these families are school-aged children. This is quite a change from the past few years where most of the refugees have been older. On January 15th the Lethbridge Urban Spirits Rotary Club announced that the proceeds from their annual Masquerade Ball will be dedicated to supporting Lethbridge Family Services' Youth Empowerment Program! Thank you to our wonderful friends! For tickets to this Gala Event, visit Eventbrite. Thank You, Urban Spirits, for believing that Family is Important. 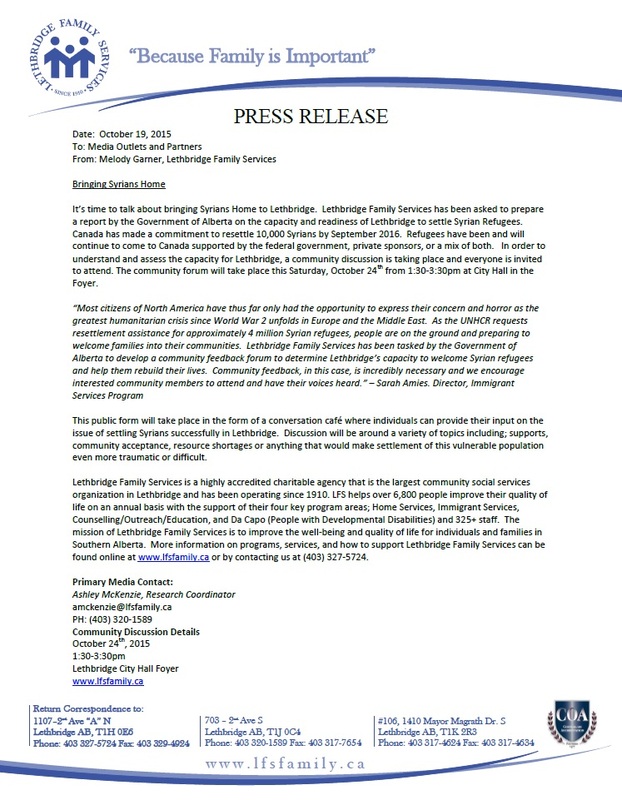 The Steering Committee to Welcome Syrian People to Lethbridge is a broad-based community initiative to prepare for the successful settlement of refugee families and individuals from Syria. The Steering Committee includes a broad range of local public sectors including immigration services, education, health, municipal services, social services, community agencies, private refugee sponsors, emergency services, and law enforcement. A significant new piece of Lethbridge Family Services history is set to unfold, thanks to the support of some long-term, local community partners. The Agency has been faced with a puzzle over the last few years that they have needed to solve, but not without community support. The puzzle was the increasing demand for the services LFS provides, out of space long since outgrown. LFS is pleased to announce that with the help of the Agency’s long-time landlord and local contractor Wesbridge Construction, LFS will finally be able to expand its space at its main site. This will enable the charitable Agency to support the increasing service needs of the community and improve the quality of lives and well-being for Southern Albertans for another century of service. On November 4th, Lethbridge Familiy Services held the launch of our Angel Tree for Kids Campaign at Nicholas Sheran Community School. In attendance were dozens of our community partners, Mayor Chris Spearman, Councillor Jeff Coffman, and even Santa Claus! Angel Tree for Kids is an annual campaign run by Lethbridge Family Services, 1st Choice Savings, and CTV that partners with dozens of businesses, individuals, and referring agencies to provide the children of Southwestern Alberta with a very Merry Christmas. The community collects gifts for children of all ages, and Lethbridge Family Services makes sure that those gifts get into the hands of the kids who need them. Join us on Saturday, September 19th for the Charlton & Hill Charity BBQ at their 5th Avenue North location to benefit Lethbridge Family Services Youth and Family Programs! We are so appreciative of the immense community support that we receive from community-minded companies like Charlton & Hill. Their support allows our programs to reach deeper into the community and change the lives of so many of our most vulnerable neighbours and friends. Please join us for Beef-on-a-bun anytime between 10:00am and 4:00pm. Do you know someone who has given so much to help improve an individual or family’s life in Southern Alberta? If so, you have a chance to nominate them to be recognized for the amazing work they do. The time of year has come when Lethbridge Family Services honors individuals, organizations, or businesses whom have been supportive of helping individuals and families improve their quality of life. It is time to nominate your local hero for the Friend of the Family Award. The award has been designed to recognize nominees on the basis of: excellence in service to a family life cause or issue, excellence in direct service to a family or families, or highly exemplary action on behalf of an individual or distressed family. LFS provides the awards to recognize family building in Southern Alberta in two categories; Individual, group or non-profit organizations and Business. Drop on by Scotiabank on the corner of 3rd Avenue and 7th Street S. on Thursday, June 25th from 11am till 2pm to enjoy a charity bbq! What a better way to have your lunch AND feel great about where the money is going? $5 gets you a hot dog, chips, pop, and a Taiwanese Shaved Ice desert courtesy of the Cool Beans food truck. 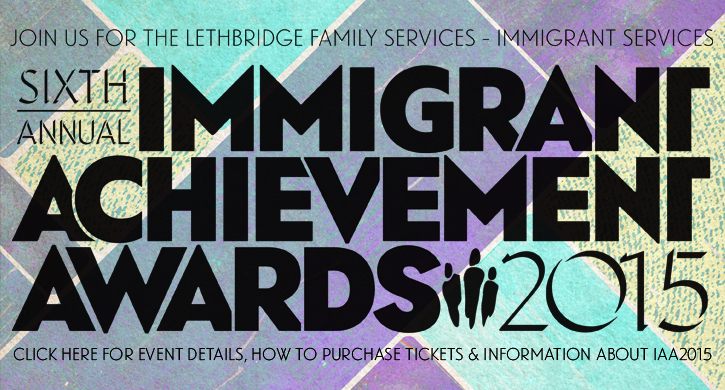 The proceeds will be donated in support of Lethbridge Family Service's annual Immigrant Achievement awards. See you there! Lethbridge Family Services is pleased to unveil the newly renovated space that has been turned into an amazing Wellness area and Community Garden. The Garden for Growth is an outdoor space that will nourish independence and the community including the clients of LFS. Through this project, clients of LFS will learn about urban agriculture, cooking, and philanthropy. Garden beds have been planted with a variety of produce which will be used to help individuals learn gardening and cooking skills. They will also donate 50% of the harvest to local area food banks. In addition to a beautiful garden, the space also houses special seating areas for innovative treatments and gathering areas for consultations. The potential to utilize this space to increase the quality of life for individuals and families in Southern Alberta is exponential. What happens when you teach individuals how to grow their own food? More than you think. This is what the Garden for Growth project at Lethbridge Family Services is all about, teaching people more than just how to grow food; it’s about growing knowledge and life skills. To kick off this project, a special sod turning and open house is being hosted on April 21st at 10am. Local contractors, suppliers, and stakeholders are invited to this ceremony to learn more about this project and how everyone can get involved to create an outdoor garden and treatment space for the clients of Lethbridge Family Services. The goal of the garden is to create an amazing outdoor space which will teach LFS clients how to grow their own food which they will then learn how to cook and have an outdoor area available for client care. It will also teach them how to take care of outdoor living space and provide them with a sense of pride as they donate some of the food to local food banks. Their knowledge of horticulture, agriculture, and life skills will be dramatically improved through this new initiative. Lethbridge Family Services’ Wheels Up Project has been selected to receive a $5,000 infrastructure grant from the Western Communities Foundation. This grant will help improve accessibility in the parking lot of Lethbridge Family Services. How do we help victims of family violence in Lethbridge and Southern Alberta? The kids and families that have been victims of sexual assault, witnessed domestic violence, and think this is a normal occurrence in life? Lethbridge Family Services provides them supports, services, and resources to move past the trauma and choose a healing path. We help them March 2 a Different Beat. Lethbridge Family Services is marching for the month of March with their 2nd annual “March 2 a Different Beat” Fundraising Campaign. The campaign will help support Family Violence and Trauma Counselling programs that the Agency provides to help individuals and families deal with these difficult situations. Members of LFS including; staff, Board Members, and volunteers are willing to work for an hour at your business or organization for a minimum $50 donation. The goal of the campaign is to raise $20,000. Major partner, The Ensuite by Emco, is on board again to help kick off the campaign with a $1,000 donation. Their hope is to encourage businesses to get involved. Lethbridge Family Services and several community minded partners believe this statement and want to make sure that family is a priority this February. They believe it so much that they are turning the whole month of February into Family Month. This month long campaign is meant to encourage individuals to make their family a priority not just for Family Day, but for the whole month. To raise awareness about the campaign, LFS has partnered with The Movie Mill, Two Guys and A Pizza Place, Gas King and the Lethbridge Herald. Each business is supporting the campaign in a different way to encourage people to spend time with their family while also raising money for the family support programs that LFS runs. Will There Be Angels Among Us? This is the question that Lethbridge Family Services, along with campaign partner 1st Choice Savings and Credit Union, is asking this year for the holiday season. On November 14th, Lethbridge Family Services’ 22nd Annual Angel Tree for Kids Campaign was launched at Nicolas Sheran School. This year’s campaign goal is to help over 2,000 Southern Alberta children to have a brighter Christmas, through the experience of having a gift to open on Christmas morning. Through the generosity of Southern Albertans, individuals and businesses can help make this joy possible by visiting any of the 1st Choice Savings branches, and taking an Angel card off of the Christmas trees located there. Each Angel card has the age and gender of a child for whom a present may be purchased, and returned unwrapped, with the Angel, to any of the 1st Choice Savings or Lethbridge Family Services locations. Gifts will be collected until December 19, th then wrapped and sent to the homes of the children for whom they are meant. Urban Agriculture is growing at Lethbridge Family Services thanks to a brand new partnership with Pioneer, A Dupont Business. Through the Pioneer Community Investment Corporate Giving Grant Program, a cheque for $5,000 will be presented to LFS to help them with their Garden for Growth Project. The money will be used to help build a vibrant outdoor space where clients from the agency can learn about gardening, growing food, and cooking the food they have grown. The garden will also help support local area food banks as part of the produce grown each year will be donated to help support the most vulnerable populations. 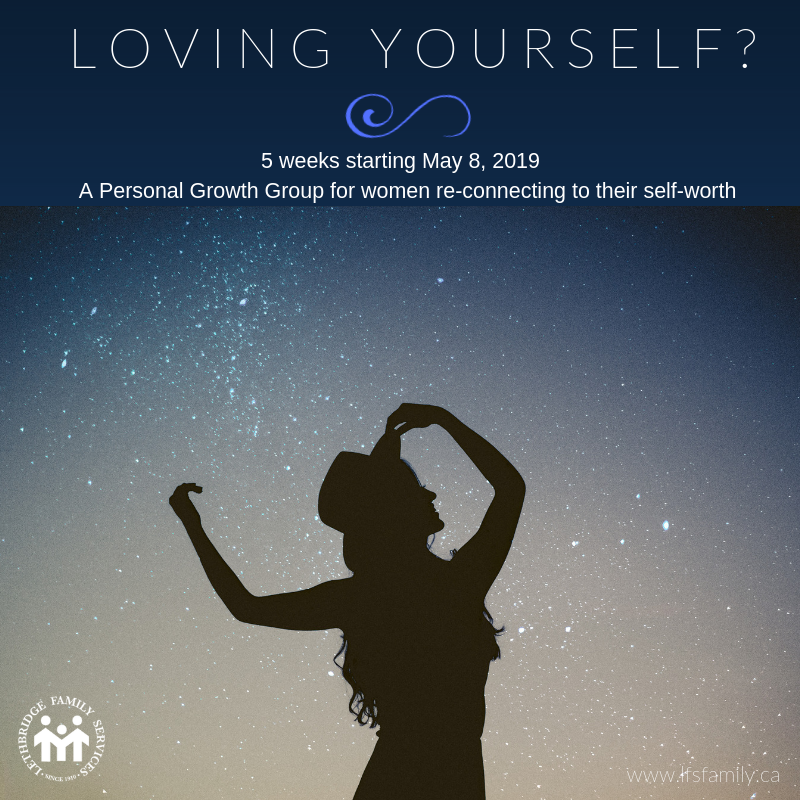 Another community minded business had decided to partner with Lethbridge Family Services to help improve the quality of life and well-being of individuals and families in Southern Alberta. Charlton & Hill came on board to support Lethbridge Family Services through a special initiative that the community got heated up about. On Saturday, September 20th, Charlton & Hill hosted their annual one day sale from 10am-4pm. This was a normal occurrence, but the fact that they donated a portion of the day’s sales to LFS was new for the organization. There was also a charity bbq with funds raised for LFS with food items donated by Lake View Bakery and LA CHEFS. People came out and look at buying a new furnace, fireplace, or even an air conditioner, and walked away knowing they helped support LFS. This week has been an exciting week for youth and vulnerable populations of Lethbridge and Southern Alberta thanks to the ScotiaBank Brighter Future Program. Cheques totaling $8,123 were given to Lethbridge Family Services to help support the agency in delivering support and services to over 5,500 people every year. ScotiaBank South, headed by Jill Reid, contributed just shy of $4,000 through their help with selling raffle tickets for the, Building the Family Raffle. This was a trip for four to Disneyland at a value of $3,800 and was drawn for in September. Dean Myktiw was the winner. The bank was able to match ticket sales for the raffle and contribute more through the Brighter Future Program. In addition, ScotiaBank Main branch on 3rd Avenue, headed up by Russel Jensen and Le-Anna Currie, donated over $4,000 through the Brighter Future Program to the agency. They partnered to sell the Our Family’s Kitchen Cookbook that was created by the Immigrant Services department of Lethbridge Family Services and was sold during the month of August and September. Today, Lethbridge Family Services announces its support and participation in Disability Employment Awareness Month (DEAM), an annual awareness campaign that takes place each October. “Expect. Employ. Empower.” is the theme for this year. DEAM’s aim is to increase awareness of the positive outcomes of hiring persons with disabilities. Individuals with disabilities have the ability and desire to seek employment and careers in order to earn competitive wages and benefits. Employment enables individuals with disabilities to reach their maximum potential, achieve economic self-sufficiency and contribute to their communities. Another community minded business has decided to partner with Lethbridge Family Services to help improve the quality of life and well-being of individuals and families in Southern Alberta. Charlton & Hill has come on board to support Lethbridge Family Services through a special initiative that the community can get heated up about. This Saturday, September 20th, Charlton & Hill will be hosting their annual one day sale from 10am-4pm. This is a normal occurrence, but the fact that they will be donating a portion of the day’s sales to LFS is new for the organization. There will also be a charity bbq with funds raised for LFS, so people can come on down for some bbq beef on a bun, fresh cookies or even some cinnamon buns. When people come out and look at buying a new furnace, fireplace, or even an air conditioner, they can walk away knowing they helped support LFS. Building Resource Awareneness to Prevent Suicide. How can you be a part of a community based response to help prevent suicide in Southern Alberta? 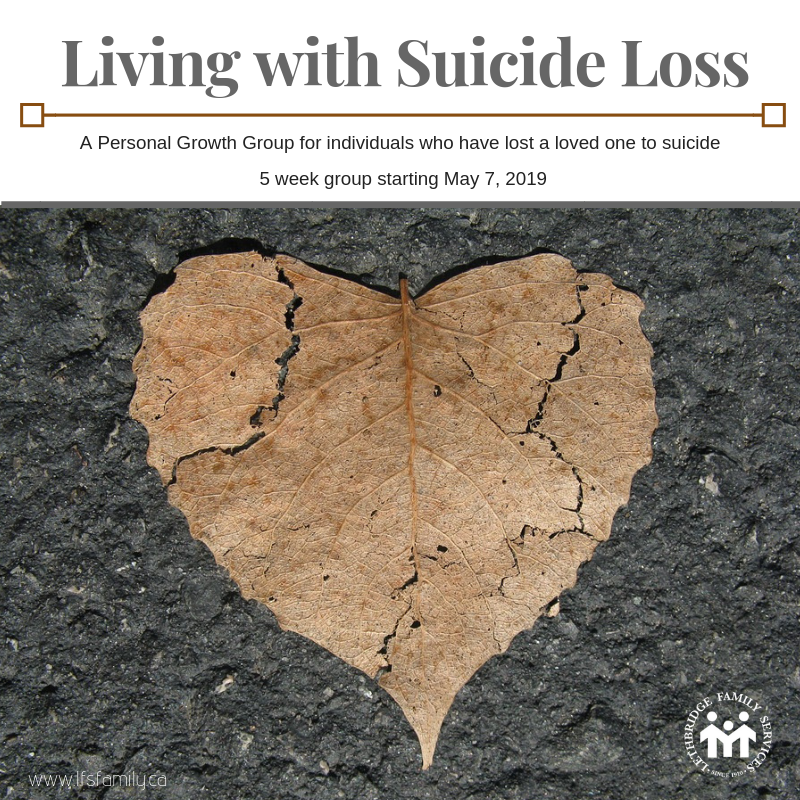 A great first step is to participate in the complimentary, World Suicide Prevention Day Workshops, hosted by the Community Interagency Suicide Prevention Council (CISP). This event will be held on Wednesday, September 10th, 2014 at the Theatre Room in the Lethbridge Public Library from 10am-4pm. As a proud member of CISP, Lethbridge Family Services is encouraging individuals to attend and learn about how they can help lower the occurrence of Suicide in Southern Alberta. The event will feature local industry speakers whom have experience in suicide prevention and will cover a wide variety of topics. Can you imagine coming to a new country for the first time, where everything from the language, houses, clothes, and the smallest mannerisms are all strange and foreign? Now imagine that you are a grade school kid who, like all kids, just wants to fit in. If you can, you’ll have some idea of how hard the first year in Canada can be for the dozens of young people who arrive in Lethbridge with their families every year. At Lethbridge Family Services – Immigrant Services, the Youth Based Settlement Team works tirelessly to help these kids integrate successfully into Canadian life and learn the skills they need in order to take charge of their own future. Each year our team conducts a Summer Base Camp to give the kids extra attention and help. This camp, which runs for several weeks through the month of July, aims to help get kids out and active in the community and southern Alberta – introducing them to local sights and summer activities. This summer, the Base Camp has been made possible by a generous donation from the Sunrise Rotary Club. On July 14th at 9:30am we invite you to come join us at Immigrant Services to help thank the Club for their investment in the future of this city, and for believing in the importance of family. “The face of Southern Alberta is changing year by year as more and more new Canadians choose Lethbridge as their destination. This influx of diversity is turning Lethbridge into a vibrant cultural hub with all the rich benefits that this brings. Immigrating is such a hard process, and our new families need all the help they can get. Supporters like the Sunrise Rotary Club make such a huge difference in the help we are able to give and we are very grateful.” – Robin Foreman, Program Manager YBSS. 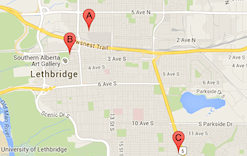 Where do all the immigrants in Lethbridge come from? This is a question that was asked by the team at Lethbridge Family Services a few years ago and the Immigrant Services team decided to answer that through the development of a cookbook that would be reflective of the various cultures within Lethbridge. “Our Family’s Kitchen” Cookbook was launched in the spring and contains recipes from our immigrants and their home countries. 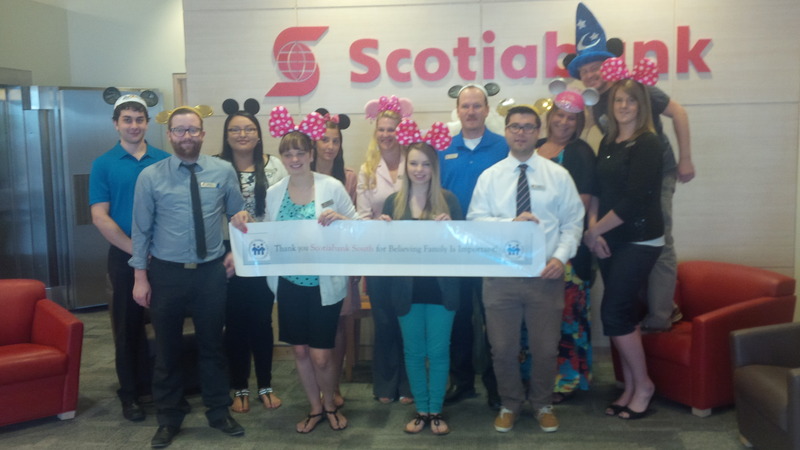 Now Russel Jensen and his team from Scotiabank Main Branch have decided to take it one step further. Scotiabank is partnering with Lethbridge Family Services to sell these cookbooks and raise money for the youth Immigrant programs and supports that LFS provides. Starting on July 8th, the team at Scotiabank Main will be offering the cookbooks for sale at their location and will match the money earned (up to $5,000) through the Scotiabank Bright Futures Program. Paintballing for a positive change is the cornerstone idea for owners, Linda and Tony, at Park Lake Paintball and this year’s charity paintball event. As a local company, Park Lake Paintball believes in giving back to the community and helping the youth of Southern Alberta access the resources and tools they need to make a positive change in their life. That is why a partnership with the Building Bridges program that Lethbridge Family Services offers made sense to the owners of Park Lake Paintball and the “Mark for Youth” Charity Paintball Event was born. This daylong event will be held on July 27th and will include paintballing, paint, a bbq, and Twoonie auction with the proceeds being donated to the Building Bridges Program. “When Trevor from LFS told us about the Building Bridges program and what it does for youth, we thought it sounded like an amazing program and we wanted to get involved. After he spoke about the funding cuts, we knew that we could help. The youth of today will be our community leaders and caregivers of tomorrow, so we need to help them out as much as possible and ensure they have what they need to succeed.” –Linda from Park Lake Paintball. On World Refugee Day, June 20, we are reminded to honour the courage, strength and determination of women, men and children who are forced to flee their homes under threat of persecution, conflict and violence. According to the United Nations High Commissioner for Refugees (UNHCR), the number of refugees and internally displaced persons on the move in 2014 is higher than ever before. Some of these people are assisted through the UNHCR and the generous countries who are glad to welcome them. These refugees are now able to find hope for the future success of their lives and those of their children. On World Refugee Day we are inviting the community to walk beside the refugees who now call Lethbridge home in celebration of their new found hope for peaceful and accomplished lives and to commemorate those who are still waiting for that hope for a brighter future. Join us on June 20 at 11:00 a.m. and Walk for Tomorrow to raise awareness about refugee life, the camps in which refugees live, and their daily struggle to stay alive. It is with understanding and support that we are able to effect positive change for refugees around the world. With community help to raise awareness we will do our part to ensure that more refugees are filled with hope for a better tomorrow. The LFS Annual Health and Wellness Challenge wrapped up on May 30th and was a "walking" success. As an agency that is committeed to promoting better health and wellness for our staff, LFS holds a challenge every year where we ask our staff to walk various regions of the world. This year the theme was Walk About in Waterton. Staff could track their daily steps and complete 9 different hiking areas of Waterton. In total, over 14,500 km were walked which is the equivalent of walking across Canada twice. Well done to all of our participants for ensuring that a priority is placed on health at Lethbridge Family Services. What would you do if you recently arrived in a new country and didn’t understand the laws, language, or cultural norms? If you move to Lethbridge, you would visit Lethbridge Family Services and access the Immigrant Services program. The Immigrant Services program will welcome approximately 50 newcomers to Lethbridge within the next couple of weeks. These individuals are coming from areas and conditions that many Canadians cannot comprehend and it will be the role of the Lethbridge Family Services- Immigrant Services settlement practitioner to help them find their way and learn about Lethbridge. This will include learning about public transportation, employment, finding schools, a place to live, opening up a bank account, and perhaps most importantly learning the language. However, the learning is not a one way street. This opportunity provides the settlement practitioner and the citizens of Lethbridge with opportunity to learn more about other cultures and areas of the world. “Our program within Lethbridge Family Services is fortunate to be the welcoming committee to newcomers from all over the world. In conjunction with our newcomer clients, we are able to build individual settlement plans and start by sharing the beauty and opportunity that Lethbridge has to offer as well as facilitating learning about a different culture.” –Sarah Amies, Program Director of Immigrant Services. In 2013, Lethbridge Family Services helped provide settlement services to over 1,000 newcomers to Lethbridge and to Canada. These individuals have arrived from 45 countries and are working hard to start a new life in Lethbridge, achieve their own independence, and ultimately become actively engaged in their new community. Lethbridge Family Services is a fully accredited charitable agency and is the largest community social services organization in Lethbridge. It has been operating since 1910. LFS helps over 3,000 people improve their quality of life on an annual basis with the support of its four key program areas; Home Services, Immigrant Services, Counselling/Outreach/Education, and Da Capo (People with Developmental Disabilities) plus the 325+ staff that deliver programs and support. The mission of Lethbridge Family Services is to improve the well-being and quality of life for individuals and families in Southern Alberta. 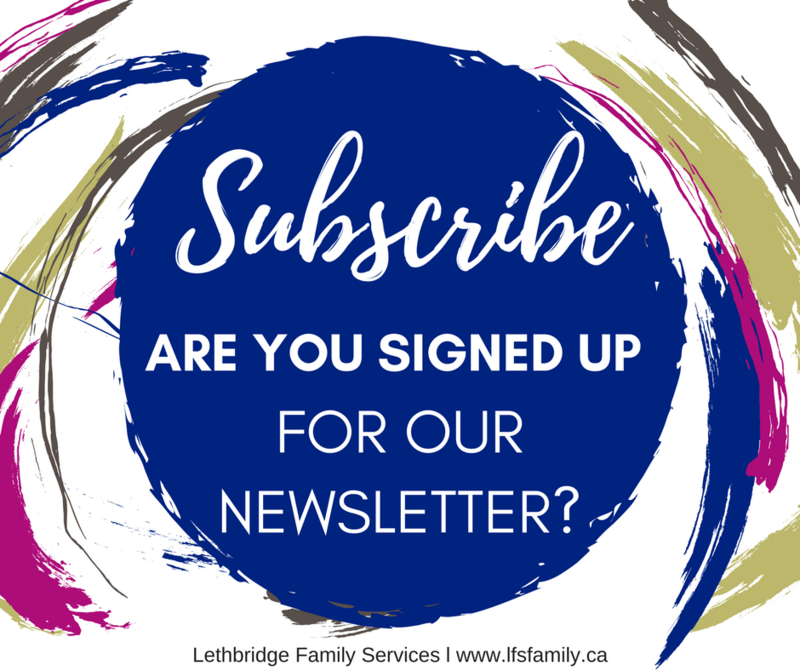 More information on programs, services, and how to support Lethbridge Family Services can be found online at www.lfsfamily.ca or by contacting us at (403) 327-5724. Do You Believe Family Is Important? Beauty is an Action, Not a Look! In 2013, the recipients of this award included Crazy Cakes, and Mr. Kamal Dahal. Crazy Cakes was recognized for their on-going support of employment for people with developmental disabilities, facilitating personal pride and esteem, through the dignity of work. Kamal was awarded for his direct and immediate support to a family that was suffering a medical crisis, requiring extraordinary assistance with language interpretation, and basic necessities to see them through. Both of these awards were presented because of the exemplary actions of these beautiful people in helping families and individuals to have a better life. Nomination submissions will be accepted until June 30th, 2014 and nomination forms can be found on the website www.lfsfamily.ca or by contacting the head office. Friend of the Family Awards will be handed out in September at the Lethbridge Family Services Annual General Meeting. Tickets for this will go on sale in August. 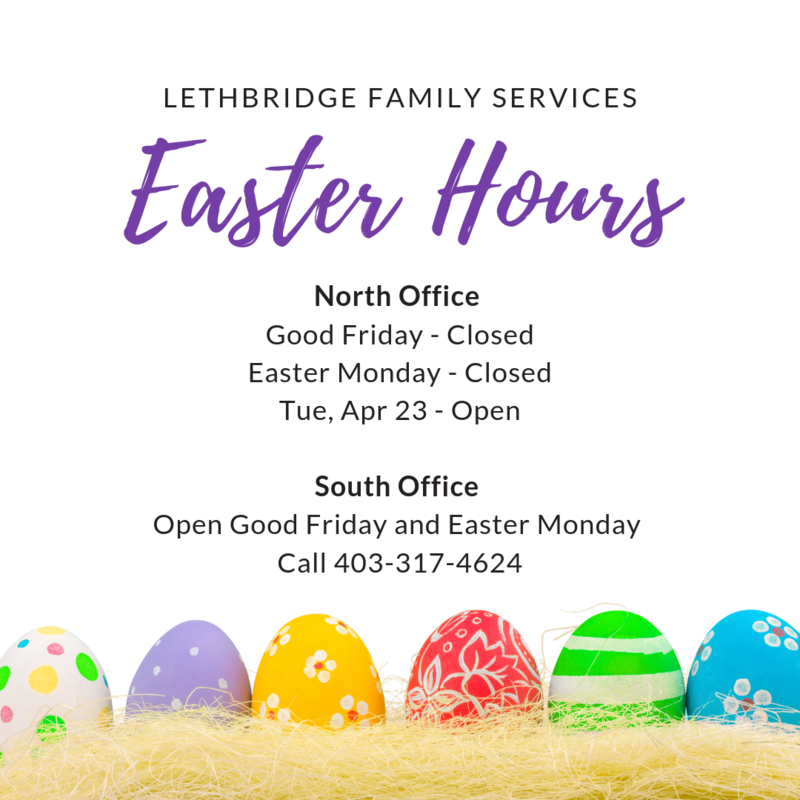 Lethbridge Family Services is a highly accredited charitable organization, and the largest community social services provider in Southwestern Alberta. In operation since 1910, LFS serves over 3,000 people annually, through a full range of Psychological Services, Home Care, Settlement Services for newcomers to Canada, and Services for People with Disabilities. 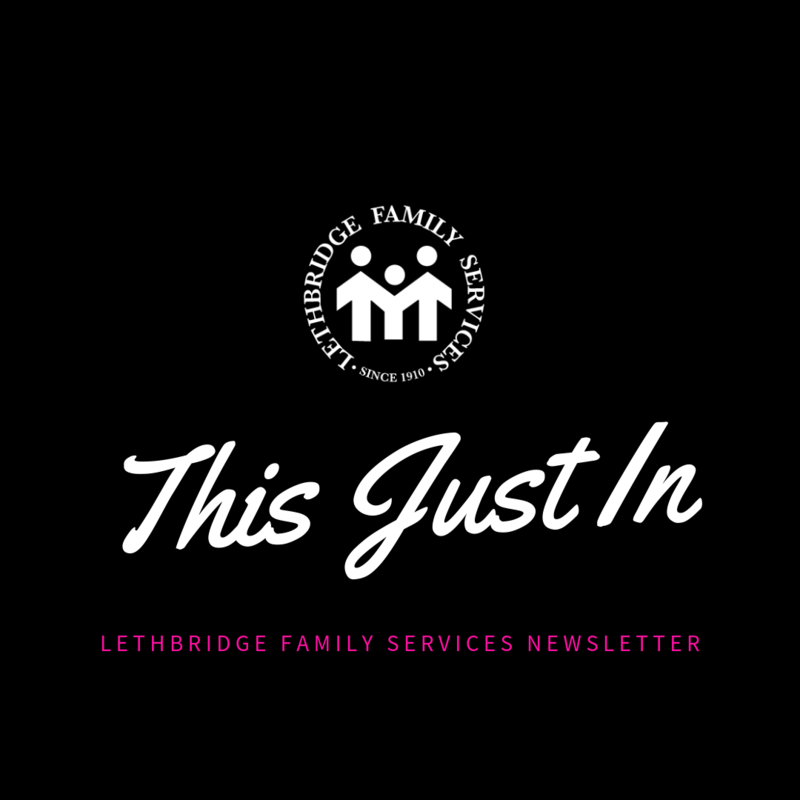 More information on programs, services, and how to support Lethbridge Family Services can be found online at www.lfsfamily.ca or by contacting us at (403) 357-5724. There's A New Head Of The Family! Lethbridge Family Services (LFS) is pleased to announce Ms. Sandra Mintz as our new Chief Executive Officer. Sandra brings an incredible depth of knowledge, skills, and history in social services to the organization. Originally born and raised in Southern Alberta, and following a 21-year career in Edmonton, she has returned to her roots in Lethbridge. Sandra brings eleven years of Senior Management experience with large, complex, public and private human service organizations that include all the services areas offered by LFS. She is an international accreditation Team Leader with the Council on Accreditation of Services for Children and Families (COA) and has experience with a multitude of different accrediting bodies. Ms. Mintz holds an Executive MBA degree and an Advanced Graduate Diploma in Management from Athabasca University, is Lean Six Sigma Certified at the Black Belt level; completed her undergraduate degree at the U of A, and holds a certificate in Early Childhood Education from Lethbridge College. “We are excited and honored to have this caliber of individual assume the role of Chief Executive Officer with our agency. Every year we strive to help the most vulnerable populations in Southern Alberta and I firmly believe that we will be able to help even more families and individuals with Sandra at our helm. “- Wendy Kalkan, Board Chair. Lethbridge Family Services is a fully-accredited, multi-faceted not-for-profit organization that is committed to improving the well-being and quality of life for individuals and families of Southwestern Alberta. Lethbridge Family Services believes that the family, more than any other institution shapes the personality and the character of every person. We also believe that the nature of life in society is, in a large part, determined by the quality of family life. Program delivery occurs through Immigrant Services, Counseling, Outreach, and Education, Home Services, and the DaCapo (disability services) Program. Every year the agency serves over 3,000 people, is the largest community social service employer in the city, and has been serving Southern Alberta for over 100 years. “I am very pleased to take on this new role with LFS. I was well aware of the caliber of professional services, administration, and governance within this highly accredited agency. I had the privilege of working at LFS in 1986/87 and I am looking forward to leading the organization to do even more for the community and its most vulnerable citizens. “- Sandra Mintz, CEO, Lethbridge Family Services. Thank you to Emco and The Ensuite for your partnership in our March Beat Campaign. Check out the video of this event launch here where Emco continues to prove they are a business leader in providing community support. How do we help the vulnerable youth in Lethbridge and Southern Alberta? The kids that have been victims of sexual assault, seen domestic violence, think there is no other way than to take their life with suicide? We provide them supports, services, and resources to change their lives and choose a different path, we help them March 2 A Different Beat. Lethbridge Family Services was announced today as the beneficiary for the 2014 Colts 4-A Cause donation by Rocking Heart Ranch. Angel Tree an Overwhelming Success! Over 1700 children and youth were helped out with gifts this past Christmas season due to the generosity of Southern Albertans. Lethbridge Family Services (LFS) is excited to announce a new member of the family. In an effort to ensure the continued growth and program delivery of the organization, a new position has been added. The position of Fund Development Director is being created to be responsible for finding new revenue for the organization through partnerships, grants, and long term capital planning. There are thousands of Angels in Southern Alberta this year that helped brighten Christmas day and the holidays for kids in the area through the 22nd annual Angel Tree for Kids Campaign. Angel Tree for Kids is a special project that Lethbridge Family Services takes on along with major campaign partners 1st Choice Savings and CTV Lethbridge. The Angel Tree for Kids Campaign focuses on providing Christmas gifts for kids in need during the holiday season. Kids are referred to the organization for the campaign through a diverse set of referral partners including school counsellors, organizations, other non-profit agencies, and the staff at Lethbridge Family Services. With the 2014 campaign in the books, the stats are in. Over 1600 children were helped this year during the holiday season due to thousands of toy donations and cash donations that exceeded $100,000 in value. The community support for the agency during this campaign was overwhelming and showed that Southern Alberta cares about their kids. This type of campaign is only possible due to the many community partners that got involved and hosted a tree, organized a toy donation at their staff party, or donated money to the campaign as well as the hundreds of individuals that purchased a toy or donated money. A full listing of the community business partners that hosted a tree or provided gifts/cash is attached. 1,200 Kids in Need: The 21st Annual Angel Tree Campaign Launches Nov 20th. Operating since 1992, the Angel Tree Campaign is an annual program that collects gifts for children in need, so that everyone has a chance to celebrate a festive season. Each year, Lethbridge Family Services - Immigrant Services helps almos 1000 newcomers settle into our community; many of them have come to Canada with little more than th clothes on their back. The settlement programs and services provided support these individuals and families s they strive to become integrated into a new society.